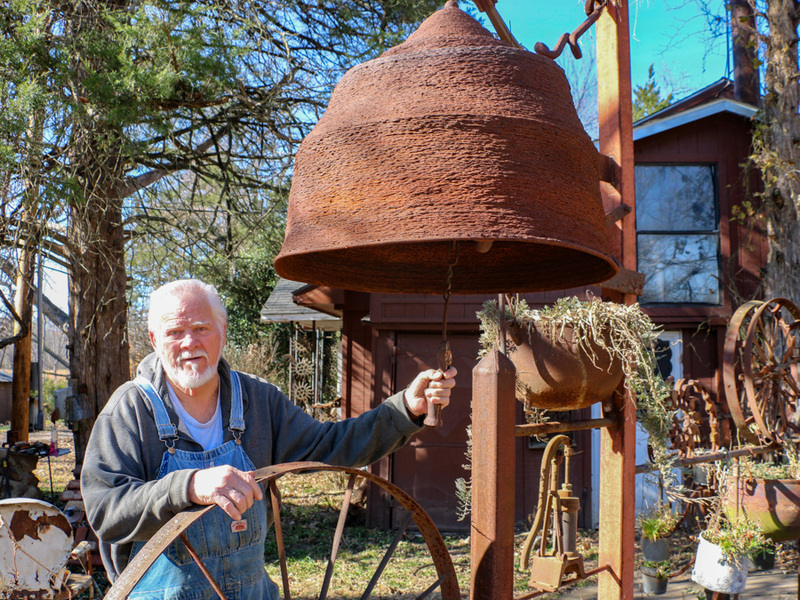 Retired L-592 Boilermaker Ed McCormack rings his latest piece of sculpture — an iron bell that weighs about 180 pounds. 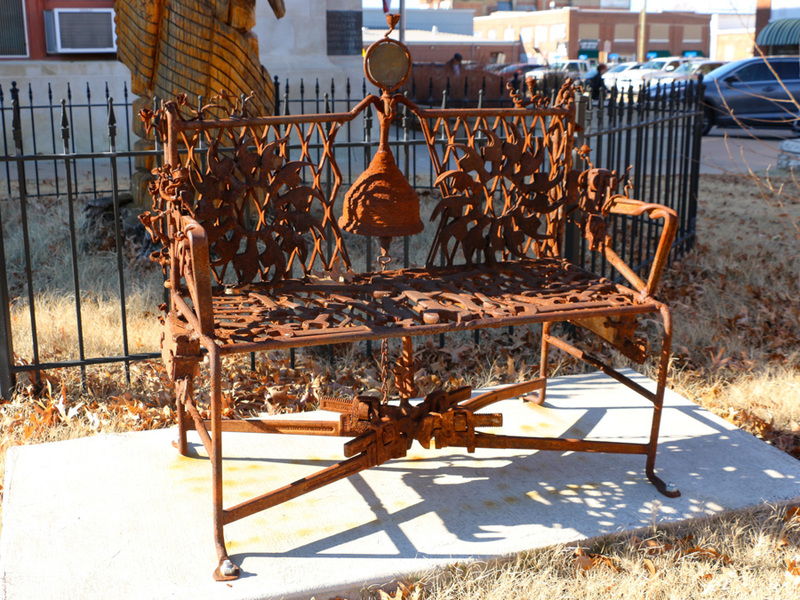 A bench made by McCormack sits on the east side of the Okmulgee County Courthouse in Oklahoma. His most recent bell is enormous. It hangs on property east of his hometown of Okmulgee, Oklahoma. McCormack, also a member of the Salt Fork Blacksmith Association, welded about 180 pounds of 5/16-inch iron rod in a circular pattern to shape the 30-inch diameter body of the bell. It took 30 hours to craft. “I couldn’t do it all in one setting,” he said. McCormack enjoys spending hours in his shop working under a sign he created emblazoned with his motto: “Somebody’s got to do it.” And for him, that “it” is a contribution to the community — and to his legacy.